Gordon Banks was England's goalkeeper when they won the World Cup in 1966 against West Germany and is also famous for an amazing save he made from Pele at the World Cup four years later. Banks, who earned 73 caps for England has died at the age of 81. He played in every game of the 1966 World Cup campaign, and starred in the 4-2 victory over West Germany in the final at Wembley. Banks won the League Cup with Stoke City in 1972 but lost the sight in his right eye after a car crash later that year. ​But he came back from that injury to play in goal for the Fort Lauderdale Strikers in the United States. News of his death was broken on Monday, 11 February, by Stoke City, the club for whom he made 250 appearances. "It is with great sadness that we announce that Gordon passed away peacefully overnight. We are devastated to lose him but we have so many happy memories and could not have been more proud of him," said his family. ​Banks started his career at Chesterfield, joined Leicester in 1959 and earned his first international cap in 1963 against Scotland. In eight years at Leicester, he was runner-up in two FA Cup finals. 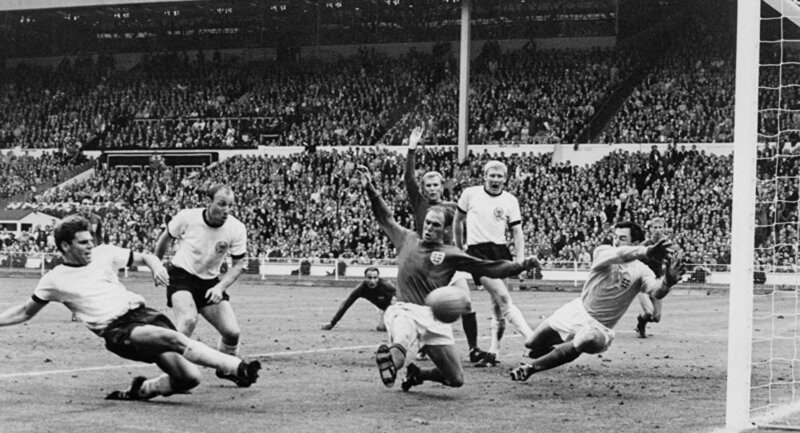 Banks is the fourth player of the 1966 England team to have died, following Bobby Moore, Alan Ball and Ray Wilson. Very sad news that 1966 World Cup winning keeper Gordon Banks has passed away.